Do you live in a regional or rural area in Australia and feel stuck in your career? That there is limited or no employment opportunities? Discover how to identify and capture employment opportunities in your area. 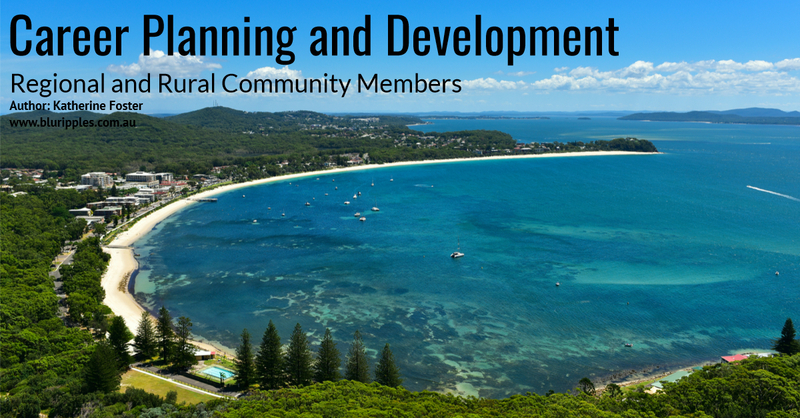 As a Career Development Specialist and Counsellor whom lives and works in Port Stephens, a regional area on the NSW North Coast, one has facilitated numerous regional and rural clients since 2012 to identify and explore career options and pathways and as such understands the challenges and opportunities that come from living in areas outside of major CBD locations. Whilst it is true that the volume of opportunities is not the same as a major CBD location such as Sydney; it does not mean that opportunities do not exist. It simply means that regional and rural community members need to dig a little deeper, explore labour market statistics in more detail, identify and respond to opportunities and possibly make a few more compromises in relation to their desired outcome(s) for example embracing portfolio careers (having several part time or casual positions) rather than traditional full time 9 to 5 positions. Career Planning and Development – Where to Start? Are my career and/or academic objectives realistic? Will my actual or intended academic pathway provide a return on investment? Do I really want to work in this position – industry? Why? Am I willing to relocate (intrastate, interstate or overseas) to achieve my career goal? What are my alternative career options and pathways? What are the top employment industries and employers in my area? Am I willing to work for myself or would I prefer to be employed by someone? Do I have the skills, knowledge, qualifications and experiences to start my own business or work as an independent contractor? Is it best to market myself as a generalist or a specialist my chosen field? Where are the employment – job opportunities? Just like each individual, each regional and rural area across Australia has its strengths, areas of growth and opportunities for community members. All of this within a 10 or so minute drive of our home; thus, when reading the above information – what does this tell you about this particular region? From ones’ perspective, when analysing these changes in terms of employment industries the obvious industry that is booming in the area at the moment is Construction; which just so happens to be a top 3 industry across Australia and within Port Stephens (based on latest labour market statistic information). Occupations that fall within the construction industry include Electrician, Painter, Tiler, Project Manager, Construction – Site Manager, Labourer, Excavator Operator, Fencer, Surveyor, Plumber, Building Estimator, Building Inspector, Pest Inspector, Carpenter and Joiner. Education – Teachers, Childcare Workers, Librarians, Career Guidance Advisors, Teachers’ Aides, Lollypop (Traffic Control) professionals. Sometimes we become so stuck in our particular mindset of I want to be this, I want to earn so much per week, I don’t want to work in that location and/or even that we are above a particular position or industry that we fail to see the opportunities right in front of us. As one highlighted through the above summary, opportunities do exist in regional and rural areas; it may be that we just need to take a step back and clearly look at our marketplace (what is happening in our region) in greater detail – to do a little more digging (research) and analysis to find out what the opportunities are in order to ascertain where you fit – be it marketing yourself and your unique skill base as an employee or independent worker to capture the market or better yet the niche in the market. As previously discussed, opportunities do exist in rural and regional areas however a little more digging maybe required to find out where you fit in the grand scheme of things. 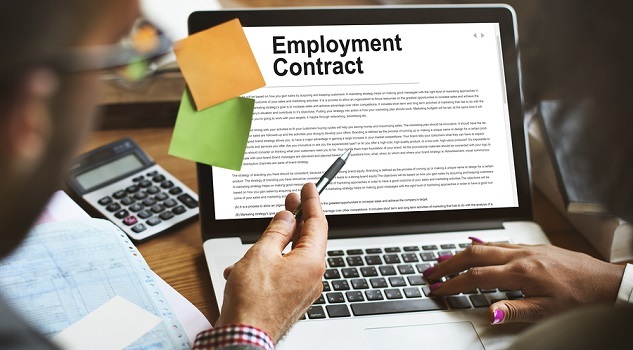 One way to start, digging a little deeper, is to research your regions labour – employment market statistics; there is a wealth of free and paid information on the internet. In fact, in researching data for this article, one found (online) a letter dated 10th March 2017 from Port Stephens Council to Senate Finance and Public Administration Committee – Parliament House Canberra; supporting the relocation of government bodies to regional areas. In the aforementioned correspondence the author (Mr. Wayne Wallis) stated that “the Hunter Region has been experiencing economic restructuring with a shift away from traditional goods-producing sectors like mining and manufacturing to high value added knowledge based service sectors”. Ones’ interpretation of this commentary is that councils in the Hunter region are strategizing and actioning change management plans to shift the employment market, of their respective areas, to a high quality knowledge base sectors such as Information Technology, Accounting, Counselling, Business Management, Medical and Allied Health, Education and Training and moving away from sectors such as Manufacturing, Mining, Electricity and Gas. Thus, whilst the current labour market in this region maybe goods-producing at present; those considering their career options and pathways would be wise to take this commentary on board and plan for the future rather making decisions based on todays’ (current) needs. Remember it takes time to study and gain experience and when you have completed any training it is important that the jobs are available in your region, a region close by or that you can develop online services to target the wider community in order to support yourself in your preferred residential location – community. In closing, as one has clearly articulated throughout this article; each regional and rural area in Australia is different. However, if you are prepared to do some research and analysis, observe the current services and industries in your area, identify the shortfalls and develop a service or product to meet these needs as an independent worker; or conversely if you can tailor your training and employment documentation (Resume-CV) to the needs of employers through the clear representation of your key transferable skills, knowledge and experiences you will be in front of the competition. Katherine is the Founder of Blu Ripples a specialist Career Counselling and Consulting practice located in Port Stephens NSW. Katherine is a nationally registered Career Development Specialist and Counsellor; is a Professional Member of the Career Development Association of Australia, Member of the Australian Counselling Association of Australia and Australian Association for Psychological Type. Katherine has worked in private practice since 2003 and prior to that worked in the corporate sector for a period of 12 years predominantly in Human Resources and Administration.